Experience the supreme solitude and beauty of backcountry skiing in the Sierra Nevada with a professional backcountry ski guide. 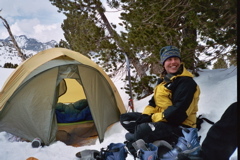 This three day backcountry skiing instructional adventure begins with a ski into the beautiful Pear Lake area of Sequoia National Park to establish a comfortable winter base camp. Instruction includes backcountry skiing techniques, a heavy emphasis on avalanche awareness, winter camp craft, uphill and downhill backcountry skiing techniques on either randonee or telemark ski equipment, as well as navigation with compass, map and GPS...and plenty of turns! Learn the art of backcountry skiing and gain the confidence and skills to ski out of bounds on your own. 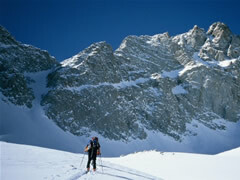 Includes a ski descent of Alta Peak, one of the Western Sierra Nevada's best backcountry ski peaks. Come ski the Sierra with us! 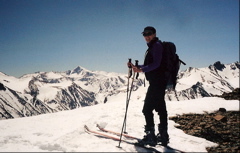 For other backcountry skiing and ski mountaineering tours throughout California check out our main ski touring page. Location: Sequoia National Park, Wolverton Trailhead. Prereequisites: Required skiing ability is strong intermediate or advanced level on downhill or tele ski equipment at a ski resort. Must be comfortable in ungroomed (powder and crud) conditions. No previous backcountry experience required. Very good physical shape required. All group equipment including, tents and cooking gear. 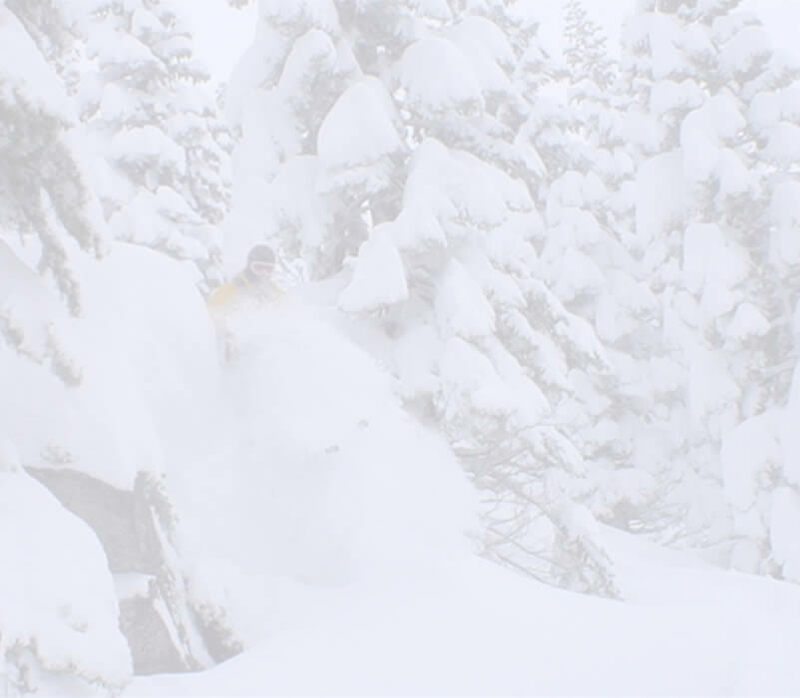 Professional AMGA trained & certified backcountry ski guides.